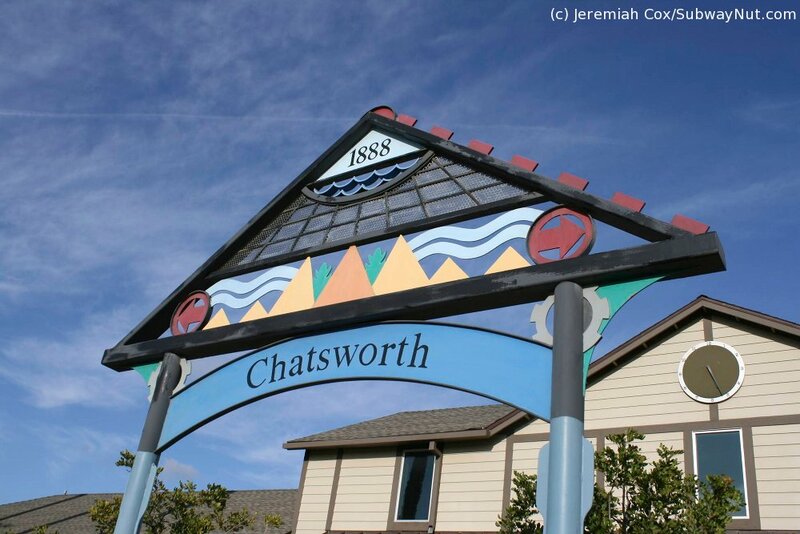 Chatsworth is still within the confines of the large city in Los Angeles in the northwestern corner of the San Fernando Valley. 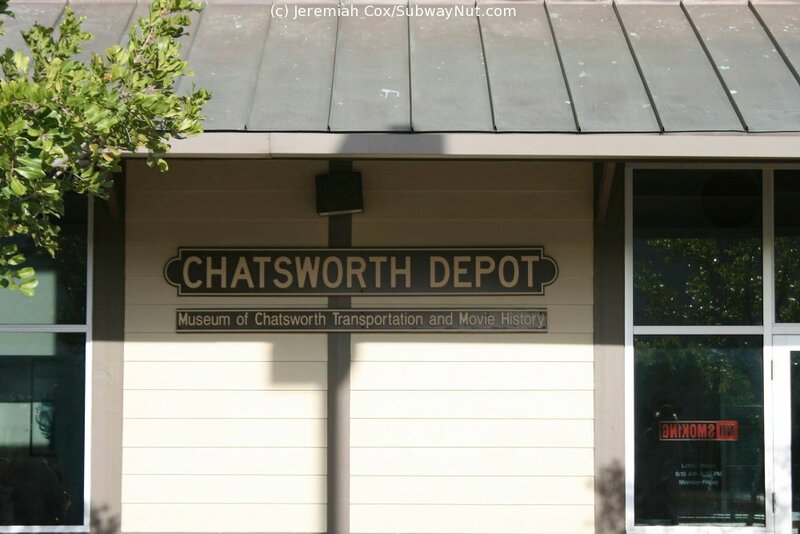 The station is currently the Chatsworth Transportation Center. 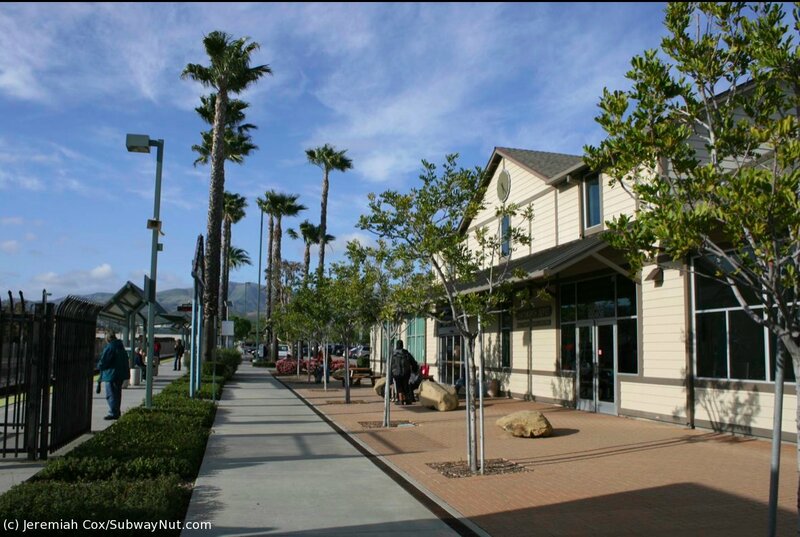 After trains stop at the station they leave the city and county behind to run up Santa Susana Pass to the Simi Valley and reach Ventura County. 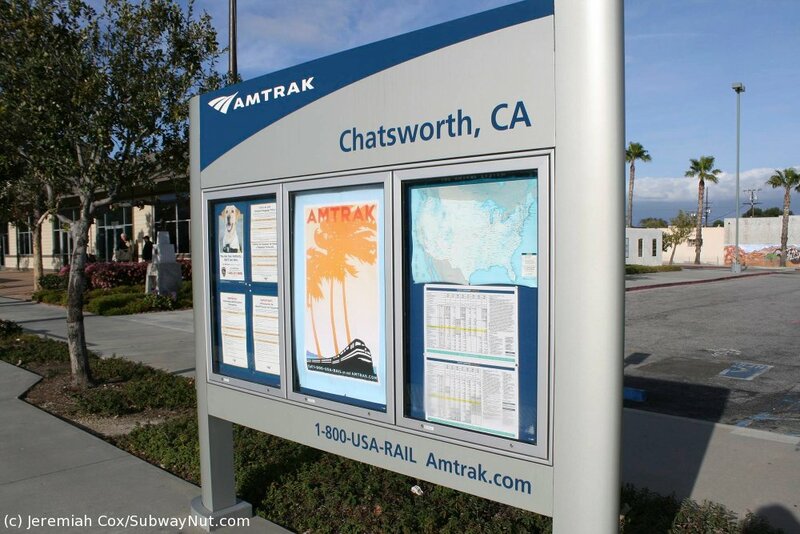 Trains first started stopping in the Chatsworth area when the first extended San Diegan started running with just one daily round-trip on June 26, 1988. 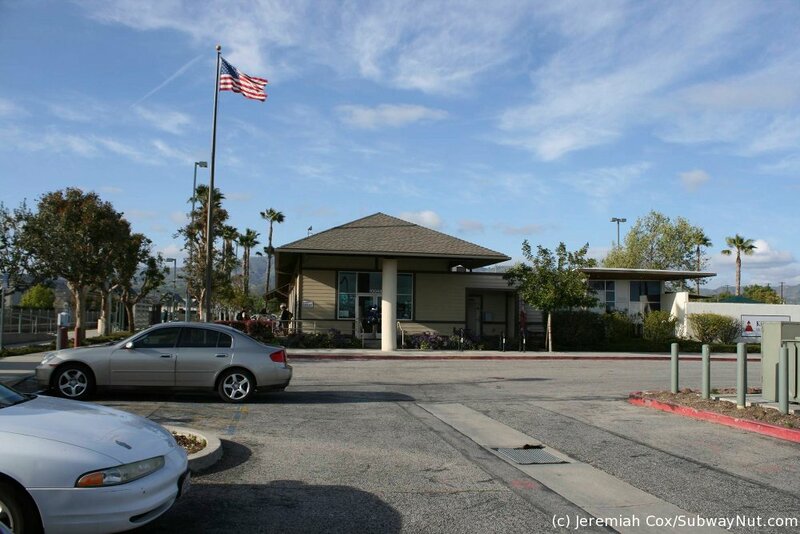 The station at that time was at 9300 DeSoto Avenue, about a mile and a half to the southwest and Google Maps still shows the outline of a former platform. 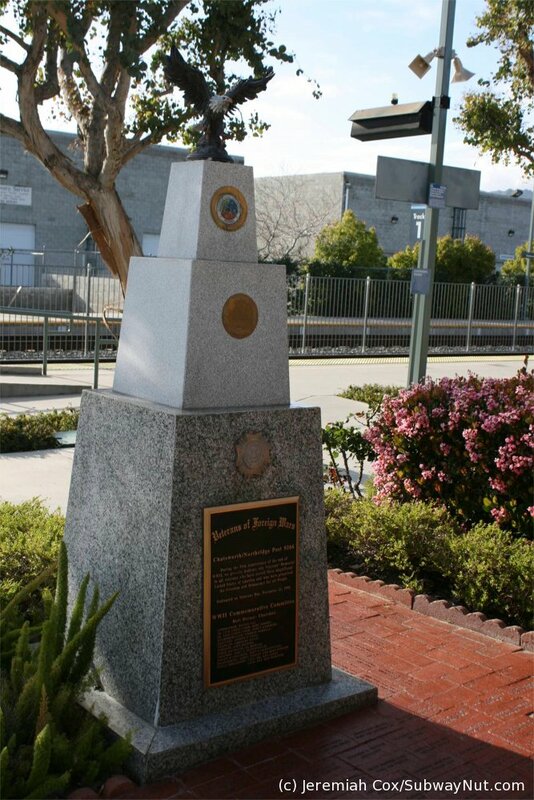 The stop was one of the original stations on Metrolink when it first began operating on October 26, 1992 stopping at a simple platform at the current station's location. Amtrak moved to today's location soon after (the stop's location changes between the October 1992 and May 1993 timetables). 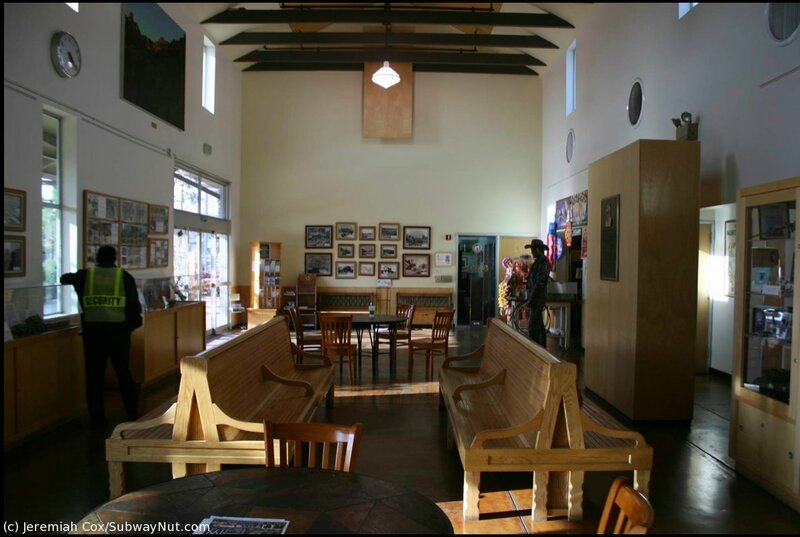 The depot building was built and today's Chatsworth Transportation Center was completed in 1996. 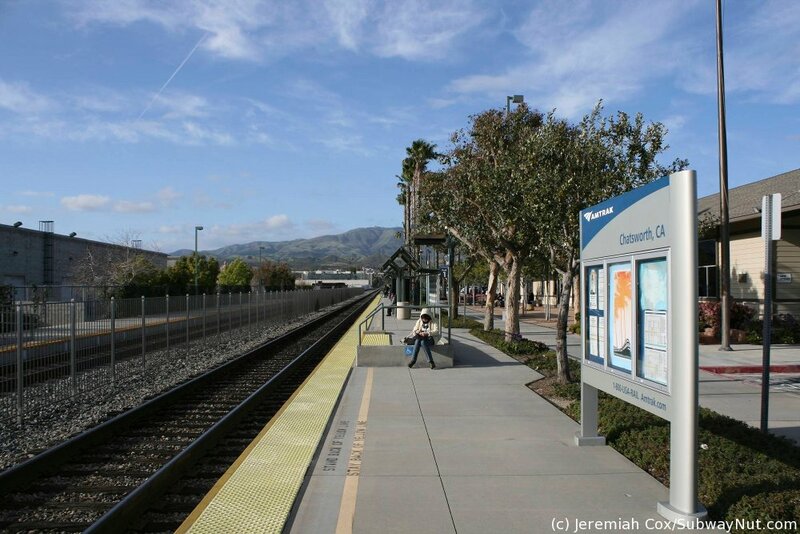 Today all five daily Amtrak Surfliner round-trips stop at the station while the Coast Starlight bypasses. 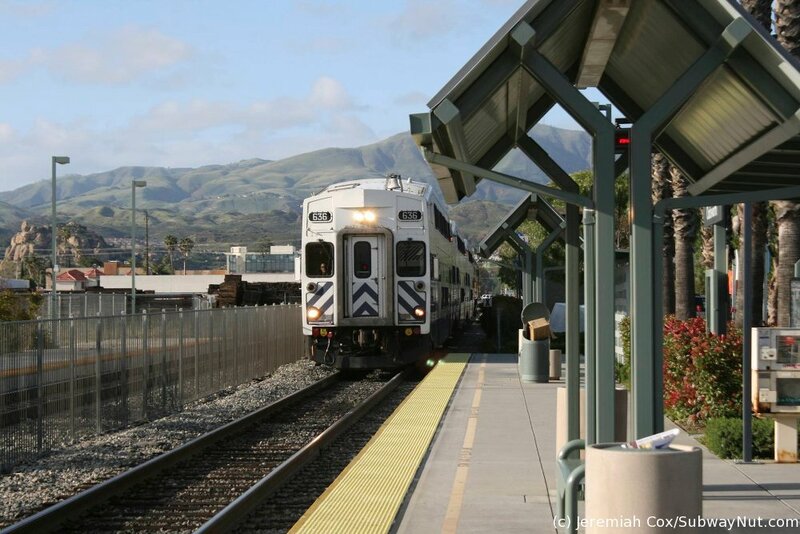 Metrolink trains coming to and from Ventura County stop seven times per direction on weekdays (five of these are peak direction rush hour, plus one midday and one reverse peak trip). 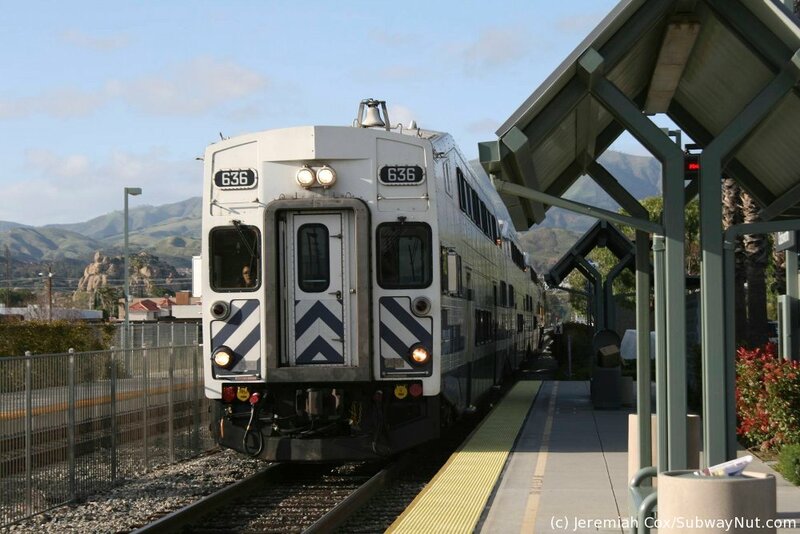 There are also three short-turn round-trips per weekday that terminate at the station (two in the morning one in the PM rush) reversing to return to Los Angeles (no trains are stored here overnight). 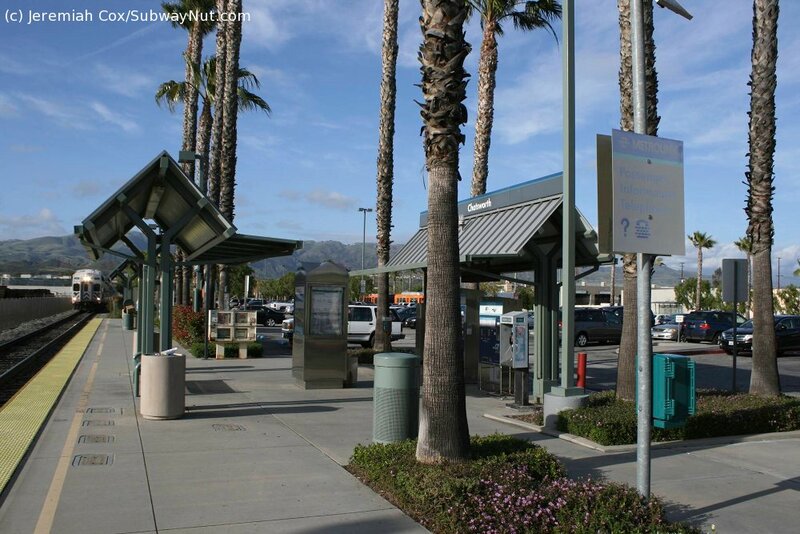 The transit connections currently at this station are less than hourly Simi Valley Transit Buses up to that city (and train station), three Metro Local bus routes (158, 167, 245/244, and 166/364), Peak hours only LA DOT Commuter Express Route 419 to downtown LA, and City of Santa Clarita Express bus route 791 that connects commuters from Santa Clarita to Chatsworth and the Warner Center. 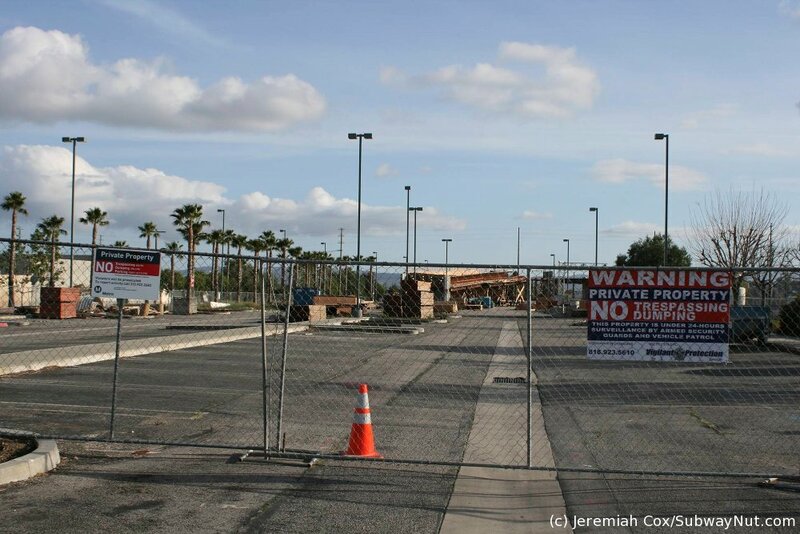 The southern parking lot of the station is currently closed because an overpass for the Orange Line transitway across Lassen Street (above where the tracks cross at a grade) is being built. 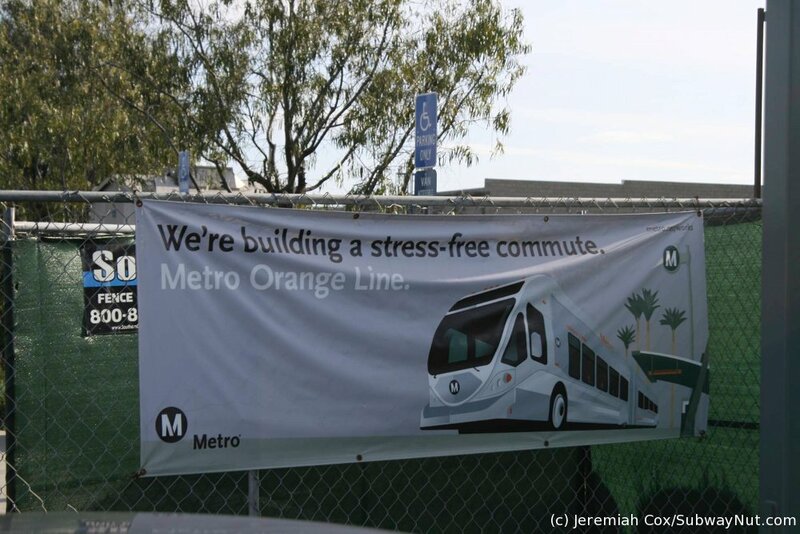 Orange Line Buses are scheduled to arrive at the station on their own independent transitway in Summer 2012. Current transit service south to the orange line and Warner Center is on two local bus routes (244/245) and abysmal, running only about every half-hour (slightly more frequent during rush hours). The station has two side platforms for two tracks trains. One platform is along the depot along the main line track. 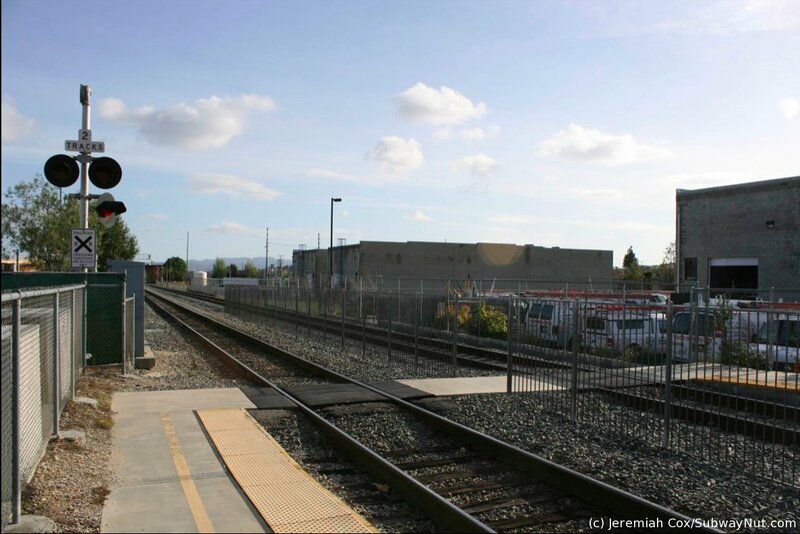 A secondary siding platform is simple without any protection for waiting passengers (there is a wheelchair mini-high platform) and accessed via a pedestrian grade crossing at its southern end with bells and lights. 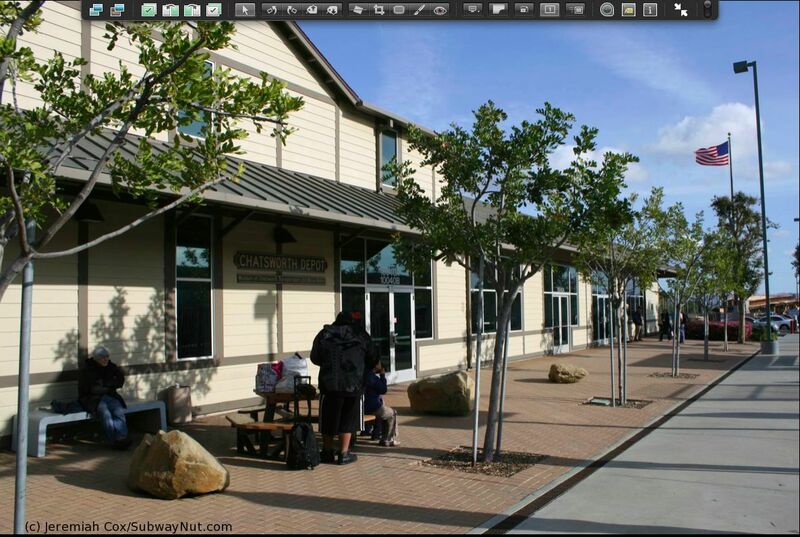 The main platform has a wheelchair mini-high platform and a mobile-lift for Amtrak trains plus four little green gabled canopies with benches beneath. 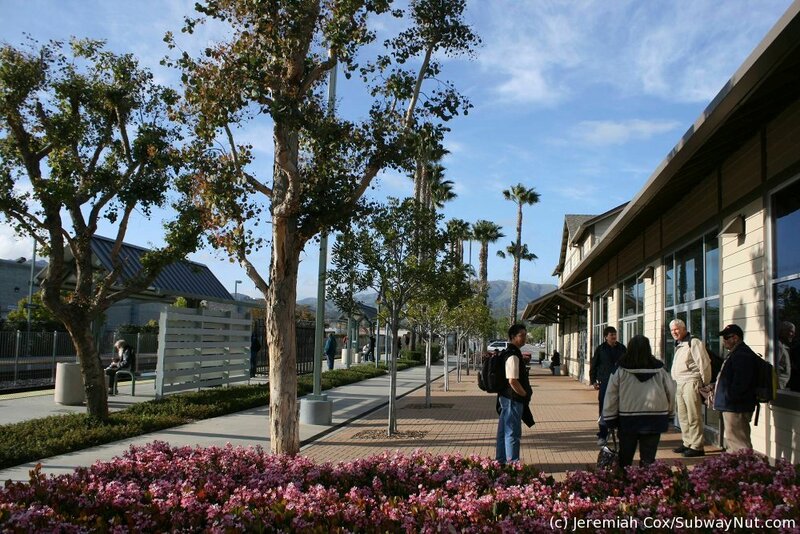 There are two more canopies on each side of the station housing TVMs for passengers. Directly behind the station is the large modern depot that opened in 1996. 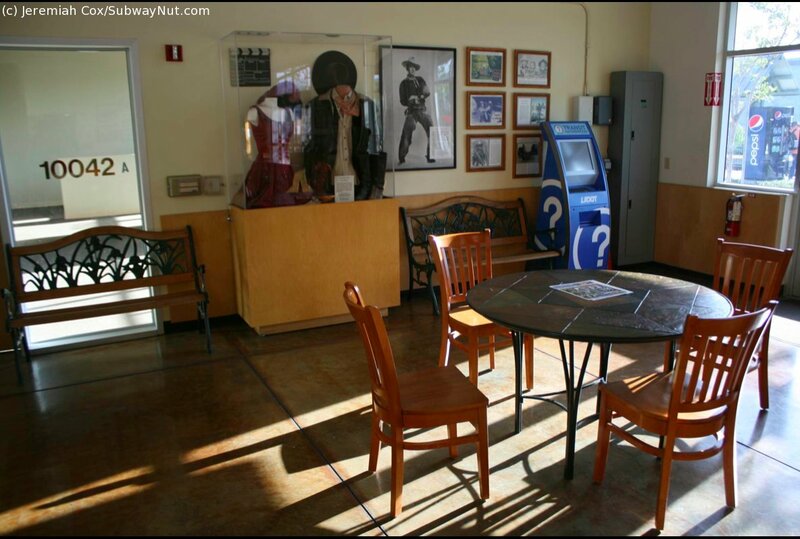 It is a large single story building and in the center of it is the station waiting area with a few tables and benches, the Whistle Stop coffee depot in one corner and photographs that are the Museum of Chatsworth Transportation and Movie History. 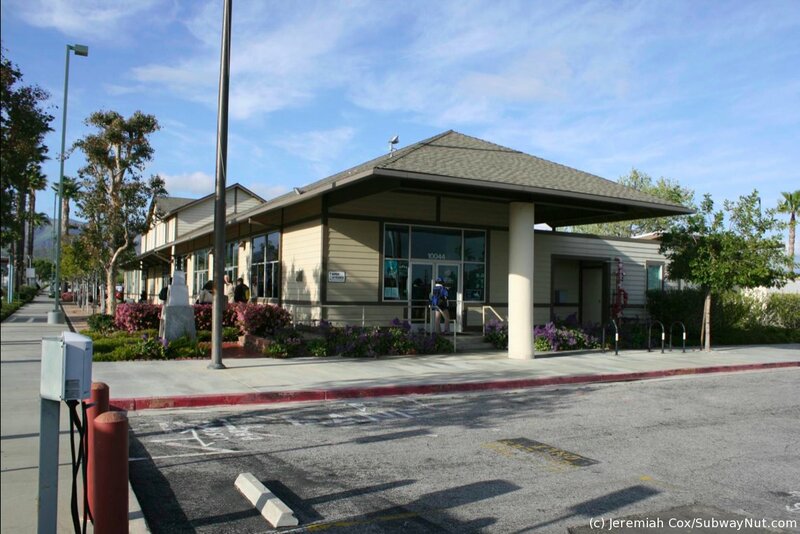 The building also contains Kinder Care, a child care center that also has another attached building and a playground (the top of a structure is just visible) surrounded by high concrete walls, the Bernson Community Room, a travel agency, the local Chamber of Commerce and the local office of the 12th city council district. 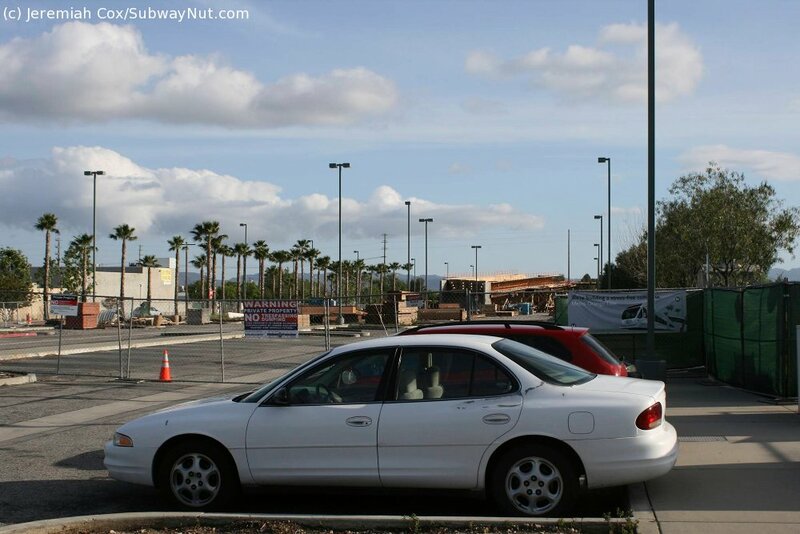 Behind the depot is the bus loop along Old Depot Plaza Road, parking lots which had 816 total spaces until Orange Line Construction began which are divided into two lots north and south. 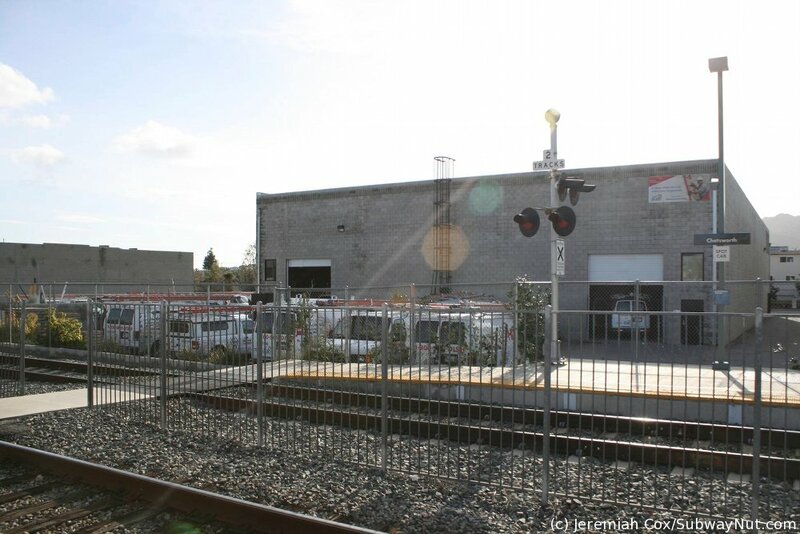 A short ways beyond the north parking lot is Devonshire Street that crosses the tracks at a grade crossing, and Lassen Street south of the station (the street the overpass for the orange line is being built over) which also crosses at a grade.